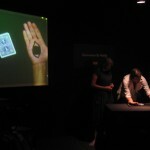 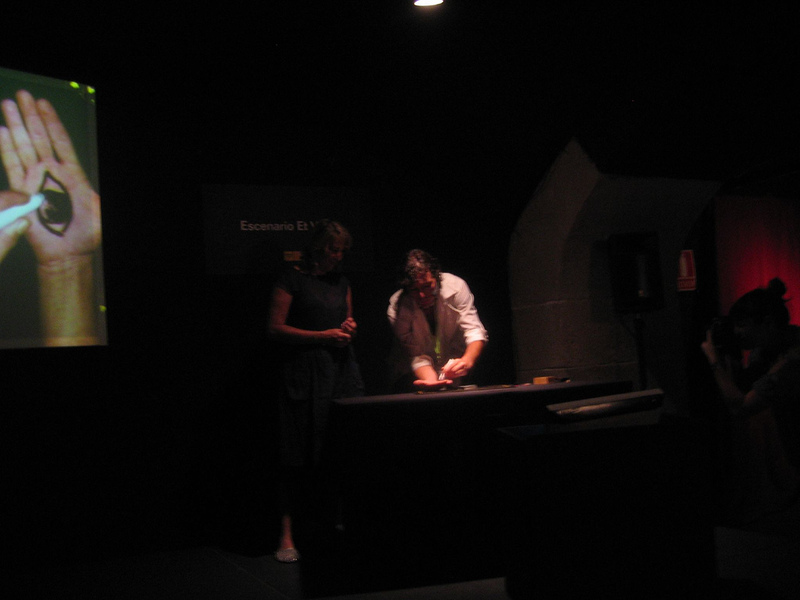 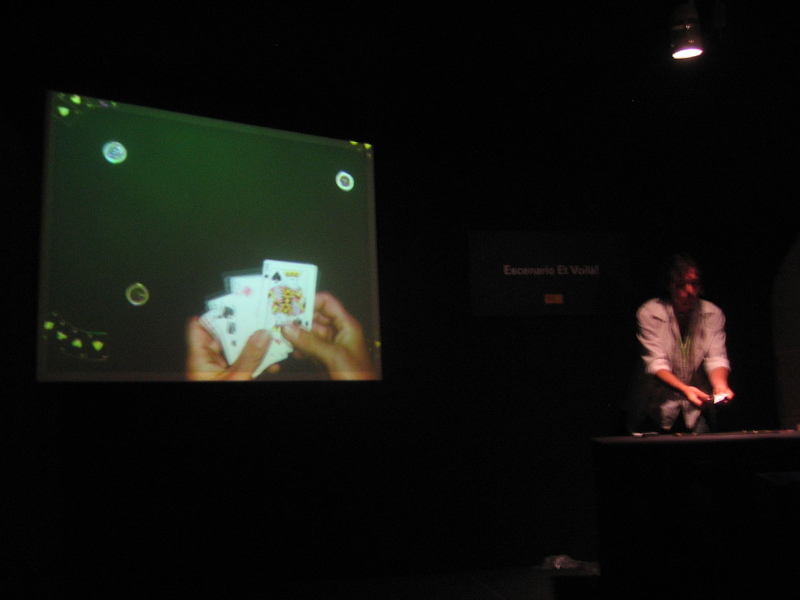 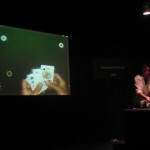 Opensourcery is a magic performance that marries camera based technology with old fashioned close magic to create a new variety of tricks. 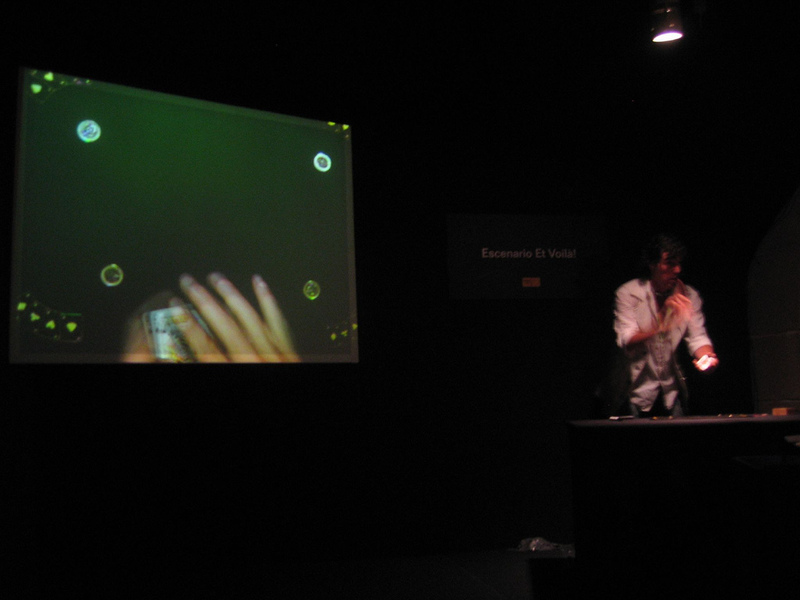 The work uses custom based software, written with the openframeworks library, in order to take a live video image and manipulate it seamlessly. 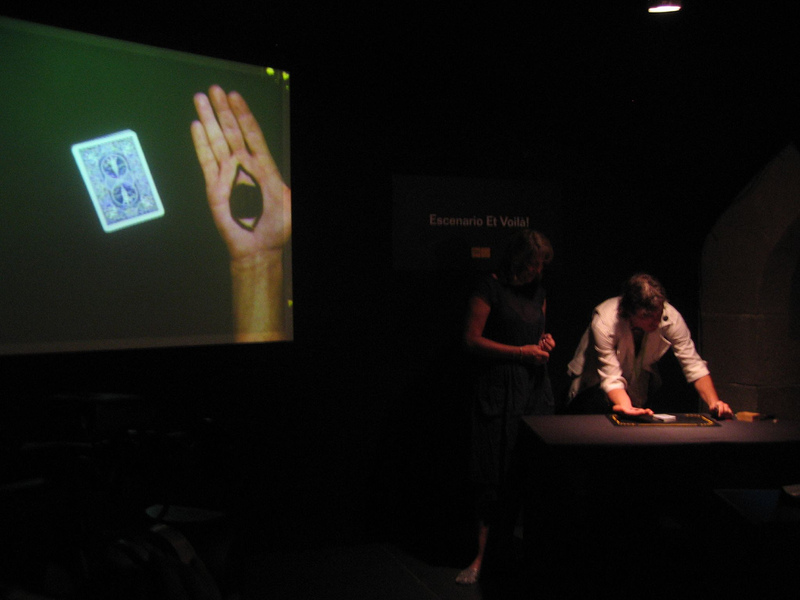 This software is completely open-source (thus the title) and designed as a starting point for imagining a new language of tricks and techniques for magical expression. 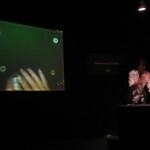 Credits: Mago Julian, Zach Lieberman.